Public services are never far from the headlines. Whether it is inadequate police numbers in Northland, or a shortage of social workers in Child, Youth and Family, or a possible failure of border bio-security that allowed PSA to decimate our kiwifruit industry, we are constantly reminded of the fact that effective public services are essential to our well-being, both as individuals and as a society. It is therefore worth pausing for a moment to consider the whys and wherefores that should define our attitudes to public services. We need public services to do a number of things – to ensure that everyone, whatever their purchasing power, can meet basic needs, such as effective health care, a good level of education, decent housing, enough to live on, and that those, especially children, who cannot fend for themselves are properly looked after – and that’s to say nothing of the support needed in times of natural disaster and other emergencies. And we also need the assurance that law and order will be maintained, that we have an independent legal system that will protect our rights as citizens, that we have armed forces that will defend us when necessary, that we have skilled diplomats to represent our interests overseas. And what about all those essential elements of a modern society – the roads and railways, the communication systems, electricity generation and distribution – all areas where the public purse and public supervision are needed to ensure that acceptable standards of provision are met? It is easy to recognise the value delivered by public services and how bereft we would be without them. So, why is there such reluctance in some quarters to see that they are maintained at an effective level? Consider the efforts that are constantly made to replace or cut back on a wide range of public services. One constantly touted option is privatisation, but that always carries with it a number of risks and downsides – that the drive for private profit will outweigh the delivery of a proper level of performance (think Serco and prison management), that there will be no accountability for failure (think Novopay and the disastrous handling of teacher’s pay), that jobs will be lost and pay rates slashed (think the problems faced by care workers in earning a decent living). Or, if not privatisation, what about those public servants forced to become self-employed one-person businesses? Or, as in the case recently reported of District Health Boards, contracting out major functions to private consultants? That can mean millions of dollars spent seeking advice that either confirms what the management want to hear or repeats back to those engaging them what they have themselves told the consultants in the first place. But perhaps the most pervasive, constant and easily available attack on the public services is simply to starve them of resources. That becomes even more likely with a government that is ideologically opposed to the general concept of public service and believes in the superiority of the private market. It becomes even more likely still when that government seeks to gain political brownie points by “cutting the deficit” and promising tax cuts. When all these factors coincide, we can’t be surprised if public services suffer, through staff shortages, lower levels of service, poorer training of staff, less investment in modern equipment. Those who suffer as a consequence are not only the staff who work for the service but those who depend on it for some of the basics – and, in one way or another, that means most of us. Public money must of course be spent prudently and efficiently. But that should not mean a general unwillingness to devote the necessary resources to public services, with the result, for example, that screening for bowel cancer is delayed one day, and police training is cut the next. There is a price to be paid, in other words, for the money saved as a result of cutting the public services. 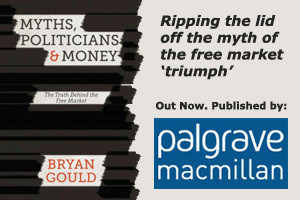 The government may seek an electoral gain in the short term, but we are weaker and less well served as a society if our government does not have the courage to tell us the truth – that good public services matter and have to be paid for, and that means by us. I regard with considerable misery, the lack of reasonable funding to Radio New Zealand and accordingly the reduction of reflecting our society and it’s works back to us. Clearly an ideological position from the infantile-like politicians who term RNZ,”Radio Labour” Insulting the hard working and talented professional serving us at RNZ.